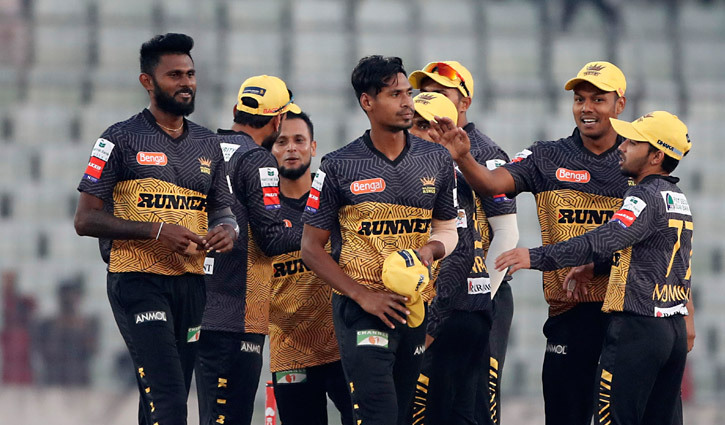 Sports Desk: Cutter master Mustafizur Rahman, The Fizz, defended nine runs in the final over to win the game by five runs for his team Rajshahi Kings against Rangpur Riders in the Bangladesh Premier League (BPL) on Sunday. 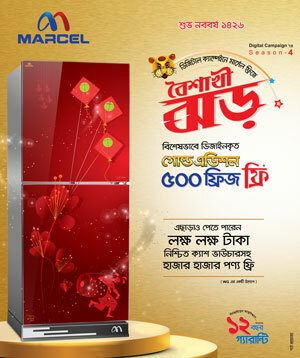 With this, Rajshahi register their second win of the sixth season of the BPL. The Riders needed nine runs in the last over to chase the target of 136. With Rilee Rossouw and Farhad Reza in the wicket, the Riders were hopeful. But Mustafizur bowled tremendously well to deny them the win. In the first ball of the last over, Rossouw managed only a run. In the next three balls, Reza failed to add anything on the board. In the fifth ball, the Riders got an extra run when Reza ran for a single without touching the ball with the bat. In the last ball, they needed seven runs, and Rossouw managed only one. And thus, Mustafizur pulled it off for his team. The Riders finished on 130/6 in 20 overs and lost the match by five runs. Rossouw remained unbeaten for 44 off 45 balls but his effort went in vain. Mohammad Mithun (30) and Chris Gayle (23) were the other batsmen to add some runs on the board for the Riders. Right-arm pacer Kamrul Islam and Pakistan star Mohammad Hafeez bagged two wickets each for the Kings. Earlier, wicketkeeper-batsman Zakir Hasan guided Rajshahi Kings to score 135 for eight wickets after being sent to bat first. Zakir was awarded man of the match at end of the match. Rangpur Riders won the toss and opted to bowl first in the match. Rajshahi started their innings losing skipper Mehidy Hasan Miraz in the second over. Rangpur Riders captain Mashrafe bin Mortaza trapped his counterpart Miraz for duck. Zakir Hasan was the only batsman of the Kings to resist the Rangpur bowlers. He remained unbeaten at the end of the innings scoring 42 off 36 balls hitting two fours and a six. Mashrafe and Farhad Reza took two wickets each for the Riders while Shohag Gazi and Shafiul Islam shared two wickets between them. Rangpur Riders will play their next match against Sylhet Sixers on January 16 at 6:30pm and Rajshahi Kings will fight against Khulna Titans in Sylhet International Stadium on January 15 at 1:30pm in their next outing.